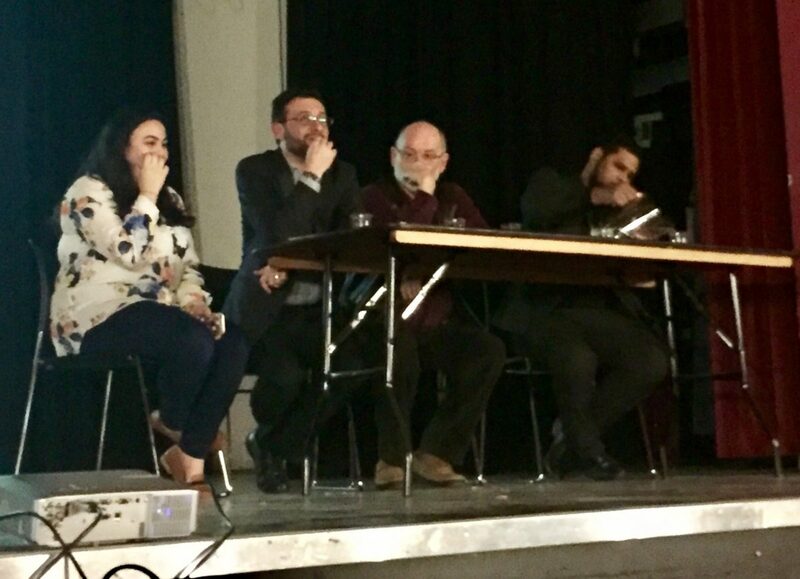 Six years on from the start of the Syrian uprising in 2011, societies across Liverpool joined together to put the spotlight on the human cost, at the start of Syria Week 2017. Aimed at promoting awareness of the tragic and ongoing suffering in the Syrian Civil War, which is recognised as one of the worst humanitarian crises of our times, the week started with an event yesterday at the Guild of Students. Organised by Amnesty International Society along with the Liverpool University Arab Society, University and College Union and Help the Homeless Society, the panel discussion featured a talk from a Dr Haytham Alhamwi, the voice of the British Syrian community, who was a political prisoner in the country. Dr Haytham was held in Syria from 2003 to 2005 for his political activism, speaking out against the Assad regime. During his time in prison, Dr Haytham spent seven months in solitary confinement, while his family were unaware of his whereabouts for the first 10 months of his sentence, visiting him twice overall. After three years’ imprisonment, the Advocacy Director of ‘Rethink Rebuild Society’ was eventually released and relocated to the UK in 2007, where he studied for his PHD in Occupational Health in Manchester. Also discussing the civil war and the horrors the Syrian people are facing, was the former Academic director of Politics and Sociology at the University of Paisley, Brian Slocock. The retired lecturer also urged the UK government to do more in aiding the Syrian people. He added: “First of all, we should be taking the refugees we’ve agreed to take. We’ve agreed to take 20,000 people and they’re not coming. Hannen Awwad, who chaired the night, told JMU Journalism: “Events like this are important because they’re enriching. You walk in knowing something you didn’t know and walk out, being let’s say an expert in it. Tonight, the groups are holding another two-panel discussion with a three-course traditional Syrian meal at the Guild of Students, with a candlelit vigil outside Lime Street Station on Friday March 17th at 6pm.